Congratulations on putting up your first online store. After months of planning and preparation, you’ve actually pulled it off. Now comes the harder part—generating your first sale. 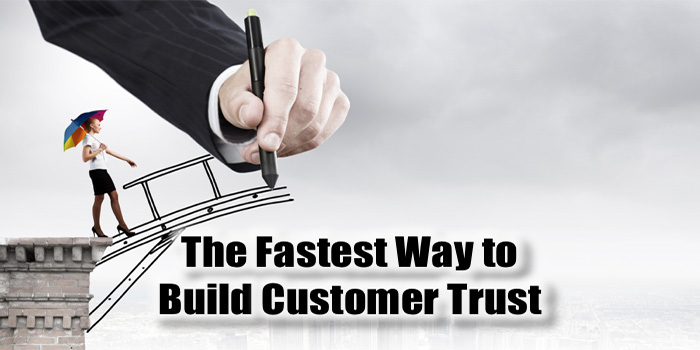 It’s particularly harder for a new online store to win a customer trust. After all, many online customers prefer seeing reviews or customers from other people before buying something from a web store. Most consumers distrust brands at first because they believe that all businesses were built to make money (which is kind of true). But they are more open to trust people. Thus, one way for your brand to hurdle consumer skepticism is to present the human side of your business. Tell your story—introduce yourself as the person behind the brand. It can enhance the credibility of your business. Start by adding an About Me section in your website. You can focus on your story in this section. Tell your customers your story, and why you ended up selling your products online. Blogging is a very powerful way of connecting with your customers especially those who are clueless about you and your business. Through blogging, you can introduce your business to customers without being seen as too aggressive. Encourage discussions in the blog section of your website. If users leave a comment, reply to them right away. It can give you an opportunity to talk to them and establish a personal relationship. Cyber security is one big issue these days. In fact, even major retailers like Target have been victimized by hackers. So you can’t blame consumers if they are wary of sharing their credit card information with you. You can overcome this issue by adding security boosting software in your website. Also, display security badges on your online store to assure your clients that their personal information is safe with you. These are just three ways for a new online business to gain a customer’s trust.